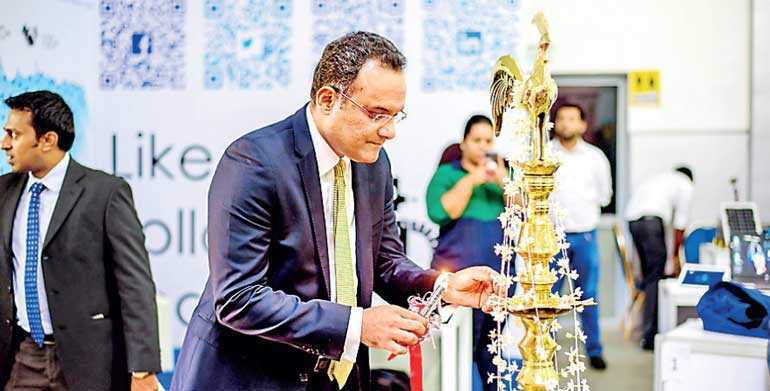 Informatics Institute of Technology (IIT), the pioneer in British higher education in Sri Lanka, conducted the latest edition of ‘Cutting Edge’, the annual exhibition showcasing projects done by its students at the BMICH recently. Cutting Edge is an exhibition of innovative, state-of-the-art IT and business solutions researched and developed by the IIT students who are currently following the undergraduate programs of University of Westminster. Hundreds of IIT students following BA (Hons) Business Management, BSc (Hons) in Business Information Systems, BSc (Hons) in Computing and BEng (Hons) in Software Engineering participated in this year’s event. Several of the projects presented at Cutting Edge have won awards at local and international competitions and also the research papers based on some of these projects were presented at prestigious forums. Partial funding for students to participate at such events was provided by IIT. The exhibition included almost 100 ICT/Business projects, all of which were innovative creations by IIT students demonstrating their creativity and in-depth knowledge of the subject matter. The latest technology trends in ICT such as the Internet of Things, Artificial Intelligence (AI), Robotics, Cyber Security and Social Networks had been widely utilised by the students. The exhibition also included its very own iFM Radio Station complete with a live webcast. 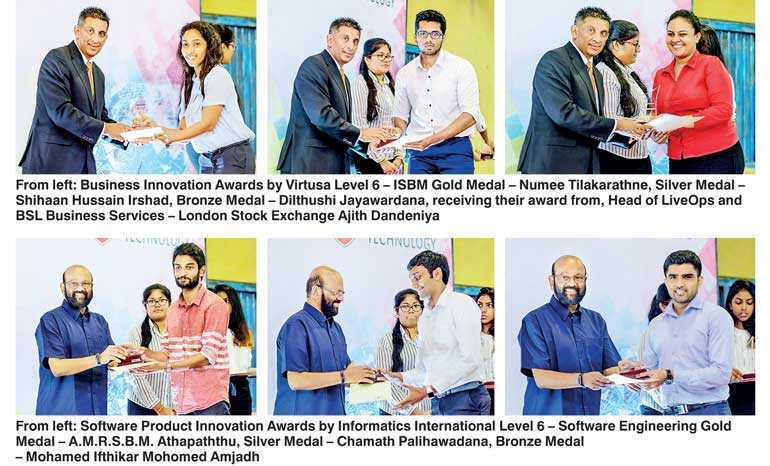 After a selection process of all participating projects by leading ICT industry professionals, Gold, Silver and Bronze awards were given out in two categories –”Business Innovation Awards” presented by Virtusa and “Product Innovation Awards” presented by Informatics International Ltd. The Chief Guest at the opening ceremony was Dee Liyanwela – Executive Director-Technology and Head of London Stock Exchange Group (LSEG). Informative seminars on ICT Career Guidance, Leadership, Wisdom and Personality Development were also conducted for school children during the event. An ICT Quiz Competition challenged the ICT knowledge of all participants while a Gaming Zone had a collection of the latest games. IIT was established in 1990 as the first private higher education institute that awards reputed British degrees in the field of ICT and Business. IIT is an award-winning campus offering internal postgraduate and undergraduate degrees from the University of Westminster (UOW) – UK and Robert Gordon University - UK. IIT has played a pivotal role in strengthening the IT sector in Sri Lanka over the years by producing world-class graduates. These graduates have gone on to become successful entrepreneurs and engineers and contributed to both local and international corporate and government entities. Since inception, IIT has produced thousands of graduates who are excelling in over 250 organisations around the globe.